The shipping center allows you to ship packages to your customers or across your different locations with affordable rates from UPS, Purolator, Canpar, Dicom and even freight services. You purchase the shipping label with your credit balance, print it, stick it on your box and it’s ready to go ! Login to unlockr and access the Shipping Center. Fill your store information as well as the full recipient’s address. Make sure every field is filled as everything is required in order to get the label. 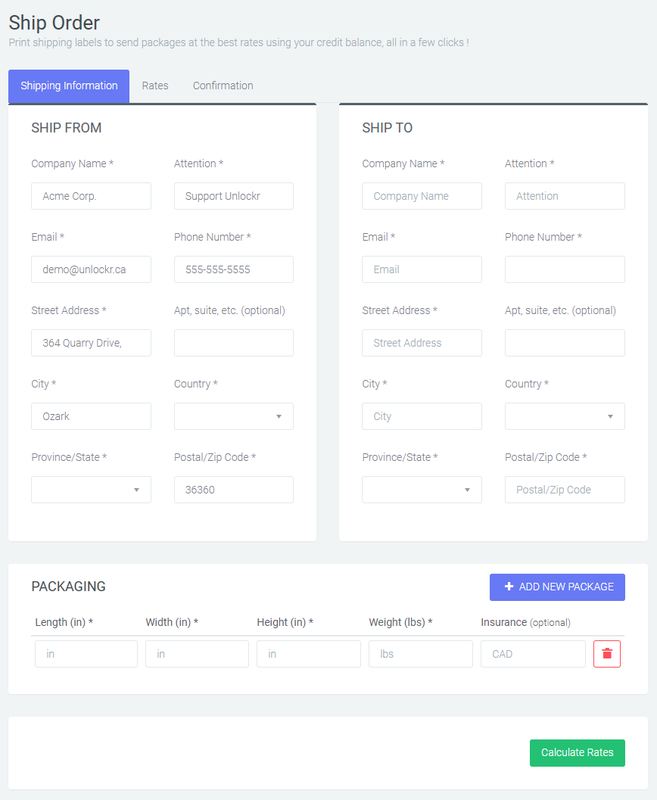 Then click on the “add new package” button to add the amount of packages that you want and enter the dimensions and size(s). Finish by clicking on “Calculate Rates” and wait for the results. 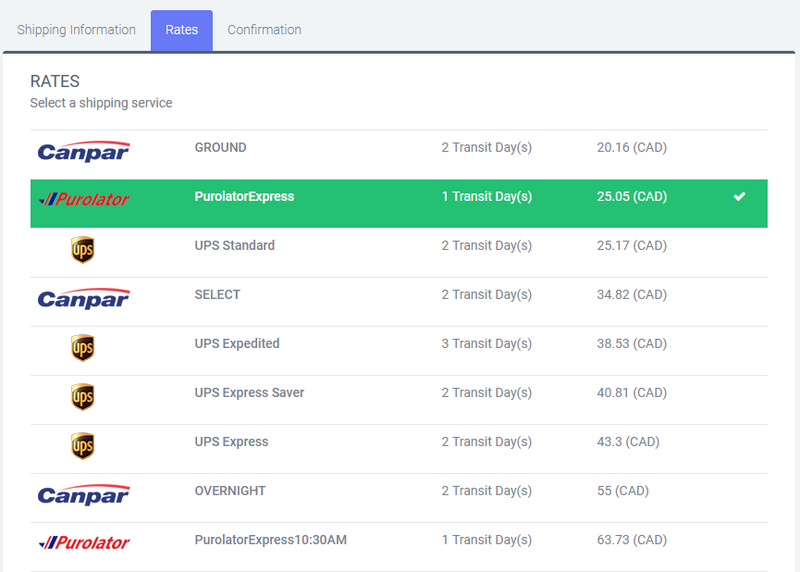 Select the rate with the transit delay that is appropriate for you and purchase the label. Make sure that you are ready to send the package because this step charges your account and provide you with the shipping label. 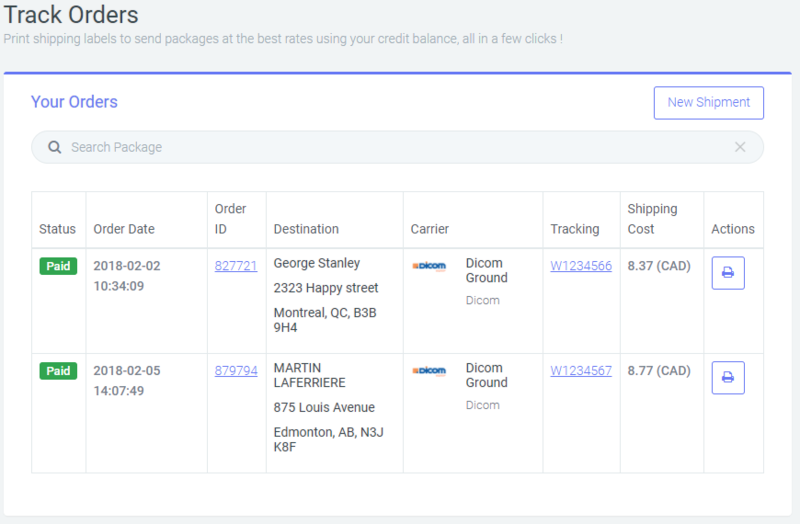 You can use the Track order page to see your previous shipments,trackings and costs. You can also print the labels again if you have to. Start shipping now with our easy to use Shipping Center! As always, don’t hesitate to contact us if you have any questions.